Ever wondered how you’d look as a Victorian gentleman? Or as a hardened criminal? Or a 50’s geek? Find out with FaceFudge! 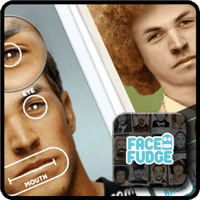 It’s a fun app that transforms your face into a variety of different guises at the click of a button – from mugshots and yearbook photos to ye olde victorians. Take pictures of you and your friends and post the hilarious results on Facebook or Twitter!